← Why Is My Florida Drivers License Suspended for a Drug Charge? Will Marijuana Be Legal In Jacksonville Florida? It is illegal to possession marijuana in Florida. The Florida drug law that prohibits it is Section 893.13. The law could change soon, because “Florida voters this November will vote on a constitutional amendment that would allow the use of medical marijuana.” Florida Attorney General Pam Bondi opposed having the constitutional amendment on the ballot. The Florida Supreme Court disagreed with Bondi’s argument against placing the medical marijuana amendment on the November ballot. Read Florida Supreme Court Approves Medical Marijuana Ballot on the Jacksonville attorneys website for information about the FL Supreme Court ruling. 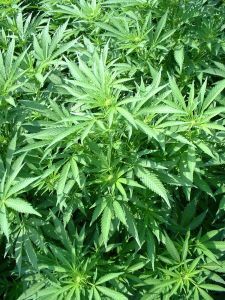 While the poll indicates that a majority of Florida voters support a broader legalization of marijuana, only the use of marijuana for medical purposes is going to be decided in November 2014. If it passes, it is still illegal to possess cannabis in Jacksonville. If you are caught, you will be arrested or issued a notice to appear in court. While it may not seem like a serious charge considering that the majority of voters may approve of it, it is still a crime. This will be on your Florida criminal background. If you are arrested for illegally possessing cannabis or any other drug or controlled substance, contact a Jacksonville criminal lawyer about your case. A Jacksonville criminal attorney at 20 Miles Law may be able to help you. Call (904) 564-2525.